GiftCards.com allows you the ability to create a custom Mastercard Gift Card, complete with a photo and message of your choosing. Start by uploading a photo of your choosing OR select a gift card design from one of our thousands of pre-designed gift cards. Next, you’ll have the ability to add a dollar amount from $10 – $500 to the card. 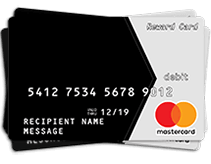 Finally, customize the text on the Mastercard Gift Card by entering in the recipient’s name and personal message that will appear on the front of the card. Don’t forget to fully personalize your Mastercard Gift Card with a custom or pre-designed greeting card. Your newly created Mastercard Gift Card may be used in the U.S. and District of Columbia everywhere Debit Mastercard is accepted*. This means less stress in figuring out a specific store where the recipient may want a gift card from, and more fun for you, with unlimited card customization options from GiftCards.com. Happy gifting! *The card may not be used at any merchant, including Internet and mail or telephone order merchants, outside of the U.S. or the District of Columbia. Mastercard Gift Cards from other popular retailers are typically already automatically activated. If you purchased a Mastercard Gift Card from GiftCards.com, activate your gift card by using our activate page. Or you can call the phone number on the back of the Mastercard Gift Card to activate. Where can I get a Mastercard Gift Card? Right here at GiftCards.com. Select from one of the Mastercard Gift Card options above to get started! Are there any fees associated with using my Mastercard Gift Card? Mastercard Gift Cards have zero usage fees. Once the card is printed and purchased, the card will not incur any additional fees. Checking your Mastercard Gift Card balance is easy. If you know where your Mastercard Gift Card was purchased, you can very easily check your balance via their website. We have links to some of the top retailers above, under Check Balance. 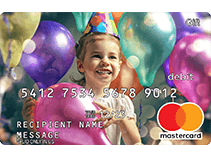 If your Mastercard Gift Card is from GiftCards.com, please visit our check balance page or call 877-944-3822. How do I register my Mastercard Gift Card? If you or someone you know bought the card at the store, chances are it is already registered. However, It may still need to be activated A Mastercard Gift Card can be easily activated by calling the phone number on the front or back of the card and following the instructions. If your card was purchased from GiftCards.com, you can activate it here. On my Mastercard Gift Card, where is my security code? The security code is a 3 digit number on the back of the Mastercard Gift Card. The security code is also commonly referred to as the CVV number. Are Mastercard Gift Cards reloadable? Mastercard Gift Cards are not reloadable. However, certain types of Mastercard Prepaid Cards are reloadable. Be sure to check to with the card issuer to see if the card can be reloaded. Can I get cash off of my Mastercard Gift Card? You will not be able to use your Mastercard Gift Card at the ATM to withdraw cash. Certain Mastercard Prepaid Cards allow for it. Be sure to read the terms and conditions on the back of the card to know for sure. Your Mastercard Gift Card will never expire. There is, however, a small processing fee for the purchase of a Mastercard Gift Card. Fee Schedule. There is a $4.95 fee after 12 months of inactivity. Hi, I’m Shelley Hunter, Gift Card Girlfriend here at Gift Cards.com, and one of the questions I’m often asked is why it costs money to buy a bank issued gift card when store and restaurant gift cards are free—meaning you don’t pay more than the dollar amount loaded onto the gift card. To answer that question, I first need to explain the difference between open loop and closed loop gift cards. Open loop gift cards such as Visa® and Mastercard can be used almost anywhere debit cards are accepted. Closed loop gift cards, the gift cards issued by stores and restaurants, can only be redeemed at the merchant’s place of business. Because closed loop gift cards are guaranteed revenue for the merchant, their gift cards are typically free to activate. It’s not that the gift card program itself is free, it’s just that merchants have rolled the program’s costs into other expenses rather than charge consumers directly. They do this because gift cards drive additional sales as recipients come into the stores to redeem their gift cards, often overspending the value of their gift cards as well. In addition, the merchant generally can structure its gift card program to be able to keep most of the unredeemed balances. Now let’s talk open loop gift cards. 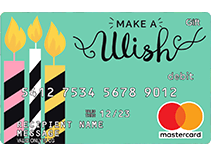 Mastercard gift cards, for example, can be redeemed in stores, online or via telephone, anywhere in the U.S. Mastercard debit cards are accepted, including places such as restaurants, clothing stores, grocery stores and more. Companies that sell open loop cards can’t lure customers back into their stores to overspend the gift card on merchandise like a store would, so they charge an activation fee to cover the cost of the gift card program. I tend to think of the activation fee as the price of flexibility–it’s a small amount to pay for the convenience of getting to use the gift card wherever I want. I’m Shelley Hunter, Gift Card Girlfriend at GiftCards.com and that is why bank issued gift cards cost more than others. Personalized Mastercard Gift Cards with your own photo on GiftCards.com. Use your Debit Mastercard everywhere Mastercard debit cards are accepted in the United States. Add a personalized greeting card to your Mastercard gift card before it ships. Personalized Mastercard Gift Cards with your own photo on GiftCards.com that can be used anywhere online or store in person where Mastercard is accepted. Add a personalized greeting card to your Mastercard gift card before it ships. Target Gift Cards come in many designs and can be bought online or in store. Target also offers eGift cards that are sent via email. Target Gift Cards cannot be used online or in person at any other websites directly, or stores other than Target or Super Target.